Indianapolis Motor Speedway has started a three year celebration for it's centennial racing history. 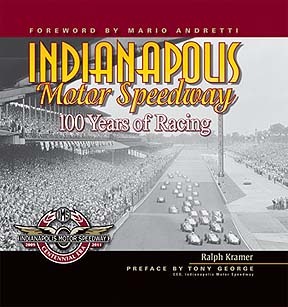 Author Ralph Kramer used photos from IMS archives for this book. Many never published before. IMS was built on 328 acres of farmland and has grown into a world-wide known race track. This book is a must for any race fan's collection.